Below is a comprehensive list of hotels in Sewerby. 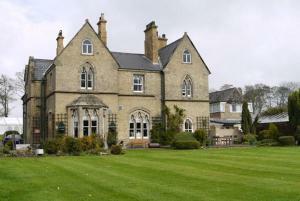 Use the sort links to refine your search or to find featured accommodation in Sewerby. Many of our hotels in Sewerby feature no booking fees and best price guarantee when booked through the Pictures of England website. 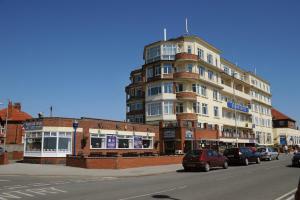 To list your hotel in Sewerby, click here. Dating to 1865, Sewerby Grange is a charming grade II listed hotel with spacious, classically styled rooms and an award-winning restaurant. With free ..
Dower House Cottage is a holiday home with a garden, situated in Bridlington in the East Riding of Yorkshire Region. The property features views of th.. 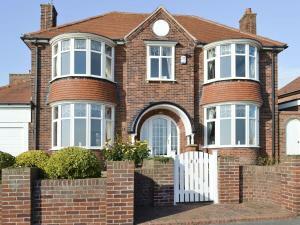 Featuring a barbecue, Chesnut Cottage is a holiday home situated in Bridlington. The unit is 25 km from Scarborough. There is a dining area and a kit.. 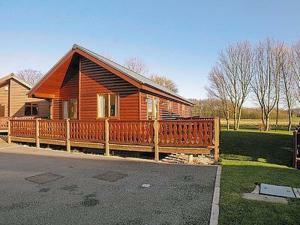 Situated in Bridlington, this holiday home is set 25 km from Scarborough. The unit is 42 km from Kingston upon Hull. The unit is fitted with a kitche..
Set in Bridlington, this holiday home is situated 25 km from Scarborough. The unit is 42 km from Kingston upon Hull. The kitchen is equipped with a d.. 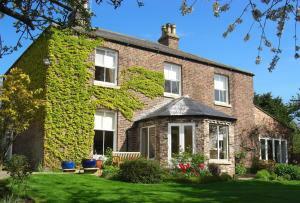 Situated 25 km from Scarborough and 40 km from Kingston upon Hull, Breil Newk offers accommodation in Flamborough. The unit is 1.5 km from Bridlington..
Set in Bridlington in the East Riding of Yorkshire Region, this holiday home is 26 km from Scarborough. The unit is 40 km from Kingston upon Hull. Fre..
A 15-minute walk from Sewerby Hall and Gardens, Marton Grange Country House offers elegant accommodation 3 miles from Bridlington. Marton Grange provi.. Located in Bridlington in the East Riding of Yorkshire Region, this holiday home is 25 km from Scarborough. It provides free private parking. The kit.. Situated on the quiet North Bay seafront in Bridlington, Expanse Hotel has an on-site restaurant which has sea views and serves full English breakfast..
Fairways Lodge is a holiday home situated in Bridlington in the East Riding of Yorkshire Region and is 26 km from Scarborough. The property boasts vie.. The Lodge offers accommodation in Bridlington, 25 km from Scarborough and 42 km from Kingston upon Hull. The property boasts views of the garden and i..
Set in Bridlington in the East Riding of Yorkshire Region, this holiday home is 25 km from Scarborough. It provides free private parking. The unit eq.. The Road Hole is a holiday home with a garden, situated in Bridlington in the East Riding of Yorkshire Region. The unit is 25 km from Scarborough. Th..
Set in Bridlington in the East Riding of Yorkshire Region, this holiday home is 25 km from Scarborough. It provides free private parking. The kitchen.. The Galery is a holiday home located in Bridlington in the East Riding of Yorkshire Region and is 25 km from Scarborough. It provides free private par.. Links Lodge is a holiday home located in Bridlington in the East Riding of Yorkshire Region and is 25 km from Scarborough. The unit is 42 km from King..
Three miles from Bridlington on the east Yorkshire coast, Cherry Tree Cottage is within a 10-minute drive of sandy beaches, cliff-top walks and the to.. The Beach Hut is a holiday home situated in Bridlington in the East Riding of Yorkshire Region and is 26 km from Scarborough. The property is 40 km fr.. 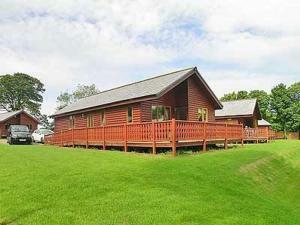 Situated in Bridlington, this holiday home is located 24 km from Scarborough. The unit is 41 km from Kingston upon Hull. The unit is fitted with a ki..